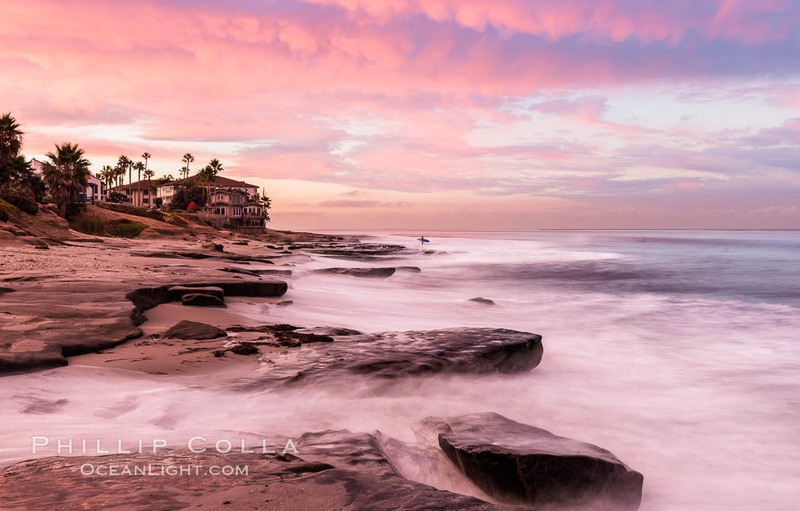 Each winter I try to add fresh and appealing images to my San Diego and La Jolla portfolios. I spent Thanksgiving morning on the rocks at Hospital Point. It was truly a sunrise for which to be thankful. I made two fine photographs which will look great printed at 24″ x 36″ and framed on the wall. This is the first one: while small waves appear blurred over the rocks, a lone surfer contemplates things before heading out into the water. Cheers and thanks for looking!